You probably hear a lot about eating antioxidant-rich foods to keep you healthy and slow the aging process. That’s certainly something we all should do, as it will also help your skin stay healthy and glowing. But antioxidants don’t have to work only from the inside out. You can apply antioxidants topically, where they can serve as the first line of defense against damaging UV rays. When we expose our skin to the sun, we run the risk of sunburn and allow reactive oxygen species (ROS) to form. These ROS can wreak havoc on our skin. Since it’s not realistic to avoid the sun altogether, the best way to deal with them is to bring in another player to mop them up and prevent them from causing harm. 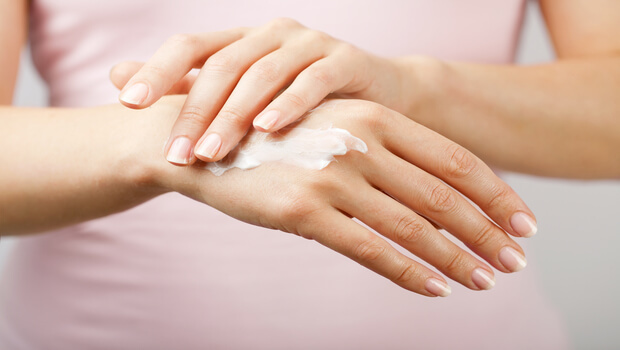 One of the best ways to do this is through botanicals, which can easily be added to topical creams. Just like a plant-based diet is an excellent way to increase your antioxidant consumption, plant-based skincare products deliver these defenders right where you need them. A review study published in Oxidative Medicine and Cellular Longevity examined the properties of a number of botanicals used in skincare products and identified the most effective. These include Calendula officinalis, Camellia sinensis (tea such as black, green, and white), Malus domestica (apple), and Matricaria chamomilla (chamomille). Researchers have studied calendula quite extensively. A study in Antioxidants indicated that calendula can help treat and prevent skin damage from radiation. Another study, published in Drug Delivery and Translational Research, found that calendula can help speed wound healing. It does so in part by increasing collagen production, which is a significant factor in keeping skin healthy and young-looking. One of the best things you can do for your skin is to feed it a plant-based “diet.” You can find all of these powerful botanical ingredients – and many others – in the Système 41 Moisturizing Hand & Body Crème. This hand and body crème not only has layers of topical antioxidants to protect the skin and aid in the production of local collagen, but it has a dual action of enhancing and holding moisture. The skin on your face isn’t the only place that telltale signs of aging can appear. By giving the rest of your skin the tools it needs to defend itself, you’ll keep your hands and neck from betraying your age as well.